Hi! I’m Nicole, and I’m an exercise addict. 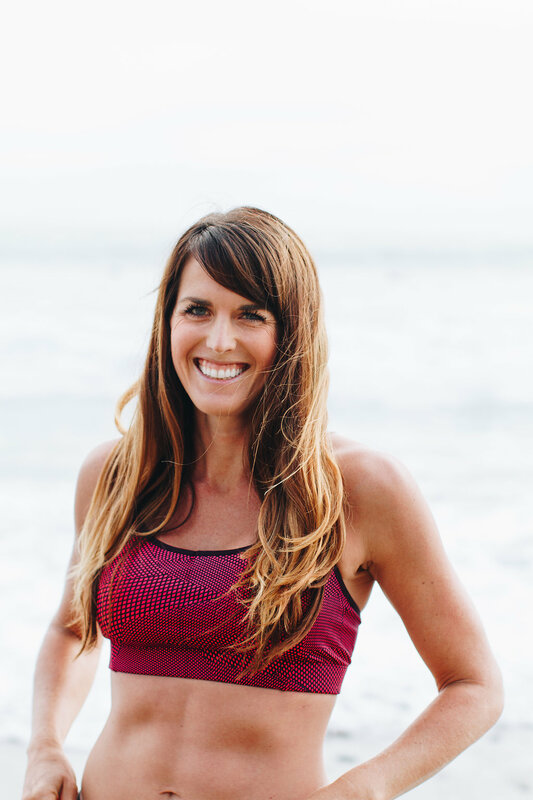 I’ve tried almost everything – barre classes, hot yoga, spin class, kickboxing, home workouts, group workouts, solo workouts, online workouts, triathlon, 5ks, marathons, trail runs, multi-day hiking trips (but no camping, sorry!). I’ll always say yes if you ask me to try something new, but at the end of the day, my true love is running. Oddly enough, I hated to run growing up. Although I was an active kid, I put on some weight in fifth and six grades after a break playing organized sports. I dreaded the day we had to run the mile in P.E. and would watch in awe as some of the kids were able to run the entire thing without stopping. I never imagined I could even run one mile without stopping, let alone 26.2. Fast forward to post-college – I’d been in the party scene for many years and decided I wanted to suffer through something other than a hangover on weekend mornings – specifically, I signed up for my first half marathon. I trained alone, ran the race alone, and enjoyed it, but quickly dismissed it as an actual hobby. However, when I met my now-husband Mike, an Ironman triathlete and runner, and started hanging out more with my now-best friend Asia (who was a sorority sister in college but we were more of acquaintances), things changed. Asia and I decided to try to break 2 hours in the half marathon in 2010 and even though we were unsuccessful in our first attempt, it was safe to say I was hooked on running. In 2011 I created this blog to document my journey at completing the home workout program P90X while also completing my first marathon and the rest is history. Within the pages of this blog you can read about my journey from barely breaking a 2 hour half marathon, to changing my body and my life with P90X, to running my first marathon, to doing my first triathlon and one year later my first (and potentially last) Ironman, to trying (unsuccessfully) three separate times (1, 2, 3) to qualify for the Boston Marathon, and my pregnancy , 45 pound weight gain and then weight loss with the help of P90X and 21 Day fix. Now I’m on the continued quest to better myself as a runner, mom, and fitness coach. I’m always setting new goals for myself and I’ve learned that while achieving those goals is satisfying (and failure can be temporarily soul-crushing), it’s really the journey that I enjoy most. I live in the coastal town of Encinitas, a suburb of San Diego, and am fortunate to have an incredibly beautiful setting for my training. As for the people you’ll see in this blog – my husband, Mike, and I love to drink coffee, plot our futures, travel (although not as much as we’d like now that we’re parents), and drink wine together. My daughter Siena was born in October of 2015 and is an incredibly active, talkative and friendly little girl. My best friends Asia and Allison are also my two favorite running buddies. I hope you’ll stay a while. I can’t tell you where this blog will go in the future, as I’m always changing and this blog changes with me, but I hope you enjoy the ride.